By Allison Tait | October 4, 2018 | This post may contain affiliate links, which means we may receive a small commission, at no cost to you, if you make a purchase through a link. Read our Disclosure. When I visited London for the first time, I was 23 years old and I felt as though I’d been there before. It was all so familiar – the setting for so many books I’d read, and movies that I’d seen. What was unfamiliar was the thrill of ‘being there’. Two years later, I was walking down Madison Avenue in New York, the sun setting, crowds pushing past me and I had just one exhilarating thought: “Nobody in the world knows where I am right now.” It should have been terrifying, but it wasn’t. I can’t remember exactly when I decided to travel overseas, but I know that I was young and I know that I was determined. I’d read so many books, you see. I wanted to go and see the Hudson River, as described in the Trixie Belden series. I wanted to visit Cornwall and pretend to be George from The Famous Five. I wanted to go to Paris, London, Rome and New York. I wanted to go to Narnia – but that was always going to prove difficult. One of the greatest things about reading, for me, is that ability to travel. My body may have been lying on an unmade bed, but my mind was far, far away, enjoying grand adventures in other countries, other worlds. When I sat down to write The Mapmaker Chronicles: Race to the end of the world, that sense of excitement, the joy of being ‘elsewhere’, came with me. The story was inspired by several conversations I had with my oldest son, now 10, one of which was about the earliest maps. “How did they map the world?” he asked me. Today, of course, we can ‘visit’ anywhere via the Internet, but the thrill of ‘being there’ – that’s something you can’t capture via a screen. 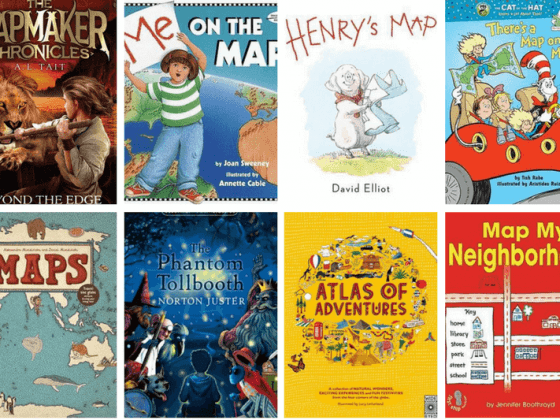 I hope that these 14 books will help inspire your kids to do just that. Explores the idea of the vastness of the world and the beauty of coming home. Whether you’re two or 22, this is a book about adventure and possibilities. Children love the ‘bear’s eye view’ of London, thanks to Paddington, from deepest, darkest Peru. Generations of young girls have been inspired to visit Paris by Madeline, who attends boarding school there with 11 other girls. In this book, Madeline visits London. The delightful Ruby Red Shoes travels to Paris and keeps her very own travel journal. These graphic picture books as so stylish and beautiful, painting an evocative picture of some of the world’s greatest cities. The two parts of this picture book are designed to be read simultaneously, one from the left, one from the right, and show two boys and their families in different parts of the world. The book shows children how different – and the same – two places can be. Beautiful, hand-drawn detailed illustrations that make your mouth water and your feet itch. Geronomo Stilton loves his home and hates to travel – and yet he finds himself having many different adventures, via many different modes of transport, in many different countries, exploring life and customs in different places. Thea is Geronimo’s adventure-loving sister. James longs for friends. When he steps aboard his magical peach, he finds not only adventure but a loyal band of friends. A group of children who travel about and solve mysteries, seeing different parts of their country as they go. 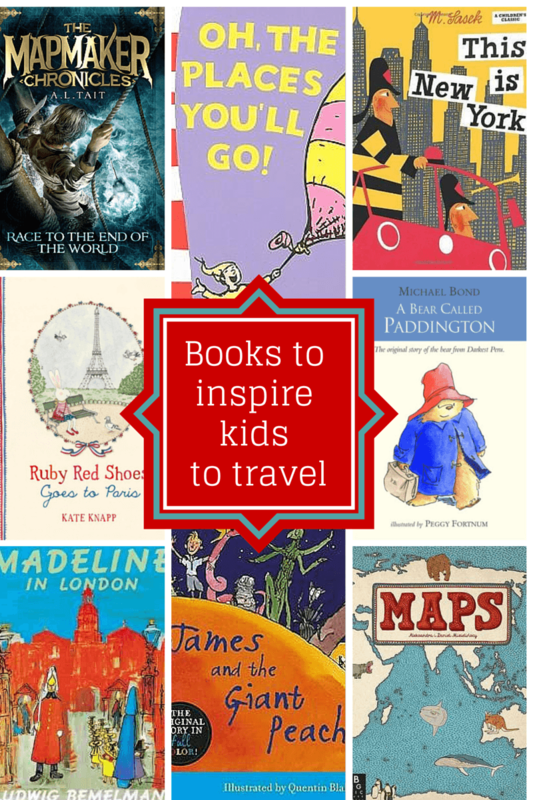 This book explores the possibilities of travel – step through the wardrobe, and adventure awaits. While time travel isn’t available to us right now, we can visit the past by visiting historic sites and museums. Children who like history will enjoy this. I, Caz the editor, have jumped in to add these series of books to this list. 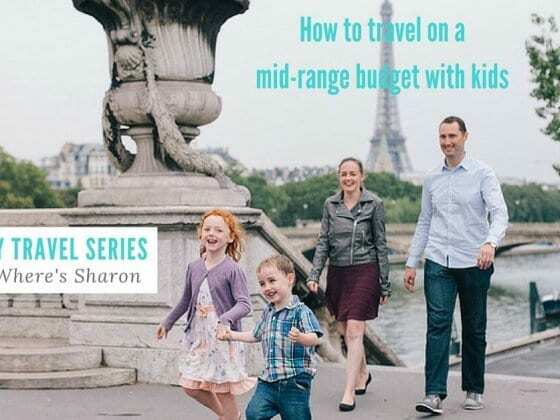 I think they are an incredible way to engage your children in the travel experience. 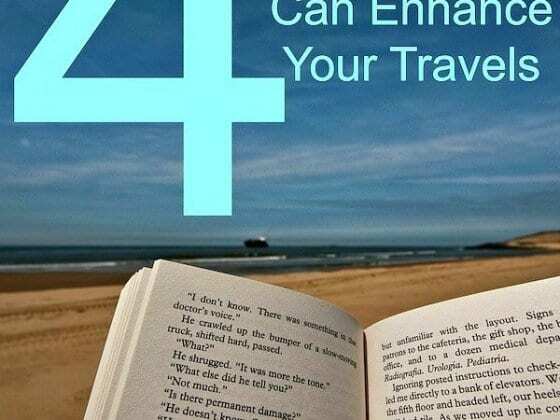 They are filled with puzzles, quizzes and engaging information on the destination. We have the New York one for our daughter Kalyra. We have not been yet, but she’s already filling in some of the activities and is even more keen to visit now to complete the rest. Allison Tait is a multi-genre writer who has more than 20 years’ experience in magazines, newspapers and online publishing. Her children’s novel The Mapmaker Chronicles: Race to the End of the World has just been released by Hachette, under the name A.L. Tait. It’s the first in a trilogy that is already garnering her a legion of young fans across the country. Great suggestions! There are some of my personal favorites on this list. I also love the Magic Treehouse series to inspire travel in kids, especially ages 4-6. It’s a series of about 28 books, and in each one, a brother and sister travel to a different place and time. They learn about history and culture along the way. Such a great selection here Allison! I especially love the This Is series. The retro style is completely fabulous. I find art gallery book shops often have an amazing selection of childrens books. We love the James Mayhew Katie books. They’re often about famous paintings but it makes the kids keen to know more about the places in the paintings and where you can see the real painting. My favourite book from when I was a kid was called ‘Letters from Felix’. A girl loses her stuffed bunny in the airport and he goes on a trip around the world and sends back letters and postcards about all the countries he visits. It’s so good, I often read it again when I’m home for a visit! The book that started me off was “Twenty-One Balloons” by William Pene du Bois. It’s an amazing Balloon adventure that involves being stranded on the Island of Krakatoa. My husband and I are reading it right now with our ten year old twins as we travel the world this year. They are loving it just like I did at their age. I love the lists Allison curates! Such a great collection here. Great list! Always love getting more book ideas for possible titles to check out with my 3-year old. Definitely going to look into “Mirror” sounds fascinating. These all look fabulous! I love giving my niece and nephews books as gifts. I’d love to order some of these for Christmas but I’m so out of touch with ages. It will have to be via Amazon as I live in Cambodia and they’re in Australia. Which ones do you think are best for a ten-, 12- and 14-year old? What age ranges are you referring to when you’re writing “little kids” and “bigger kids”? Advice appreciated. Great list. I would add in The Railway Children for me – I was always desperate to know where their Father was. Clearly a sense of discovering the unknown and unseen has always enticed me! Thanks for the suggestion Steph!